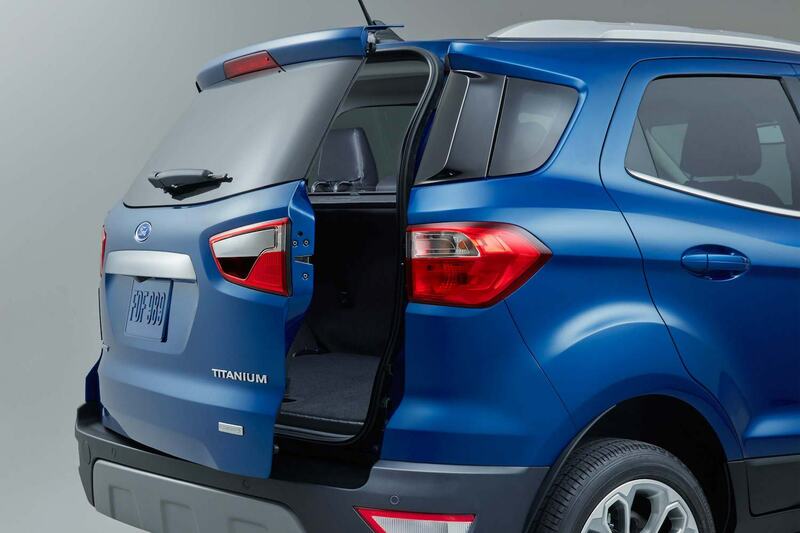 The EcoSport is a sporty, compact crossover offering an economy-minded package. 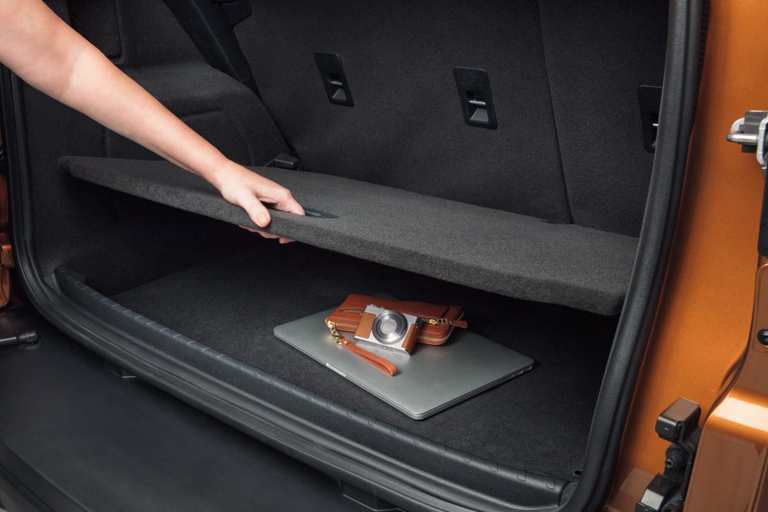 It has plenty of storage space and a snazzy side-hinged rear hatch. It has you covered if you're looking for the latest entertainment technology. 17-inch premium Dark Tarnish-painted metallic wheels. 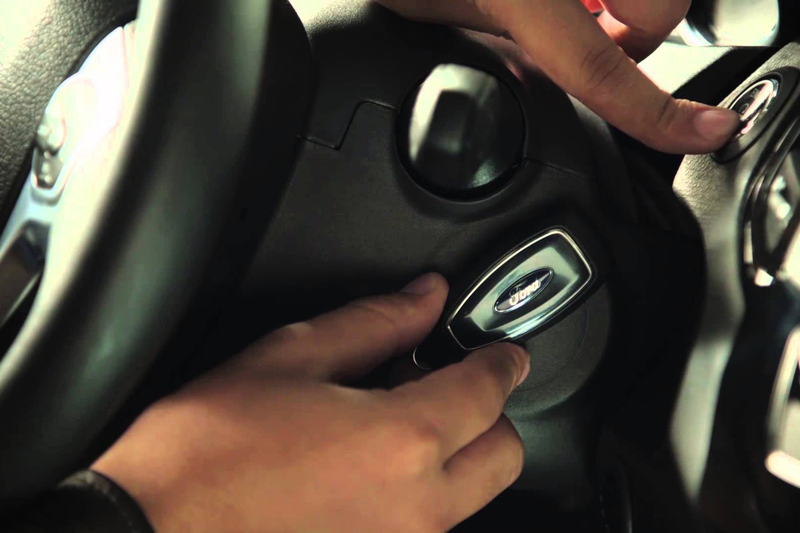 Intelligent Access with push-button start. 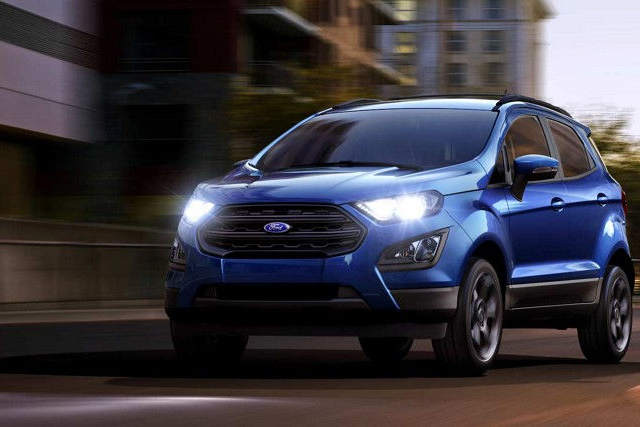 Outside, the EcoSport SE, SES and Titanium trim levels include LED signature lighting and halogen projector headlamps that are both striking and useful. 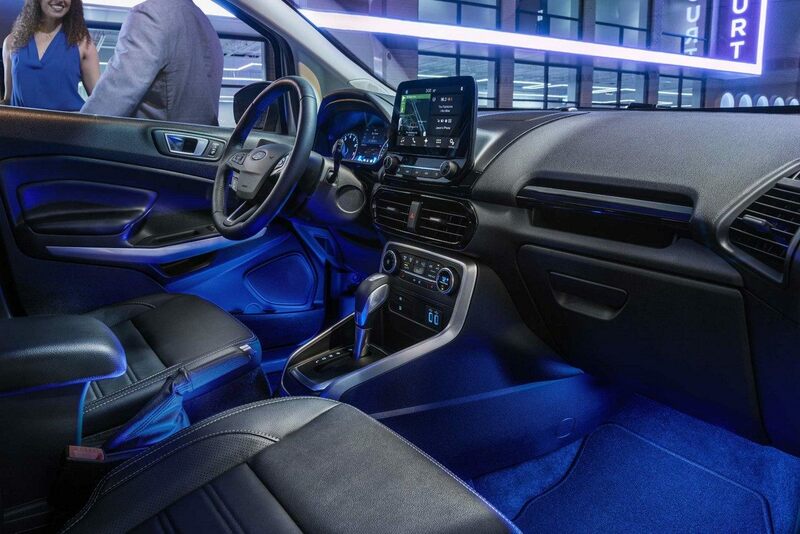 Inside, the available ambient lighting lets you set the mood in your vehicle’s cabin with up to 7 colour choices at your fingertips (red, blue, purple, orange, aqua, white or yellow-green). 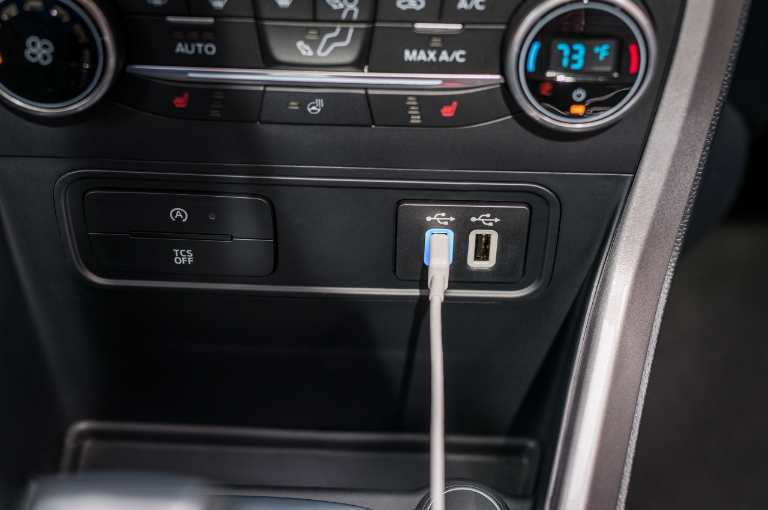 Light emits from the front console cup holders, door – release handles, front-door map pockets and front footwells. The unique rear swing gate with hideaway latch is just part of the fun. It swings out. An added touch of style. 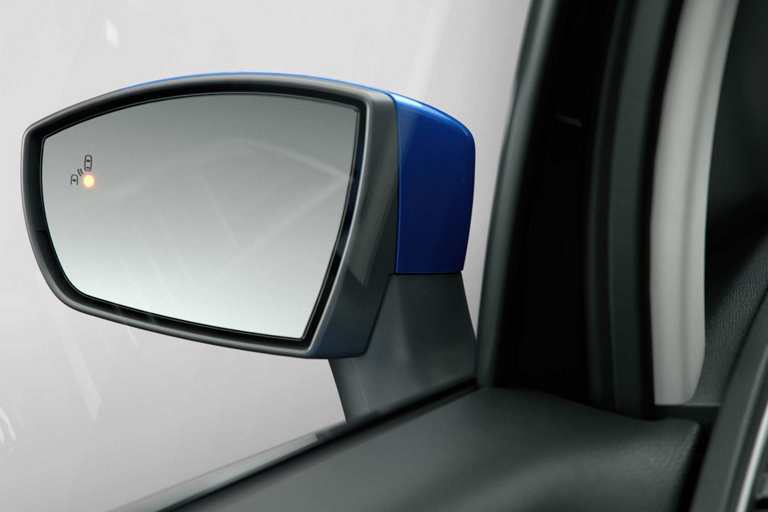 BLIS uses radar to identify a vehicle detected in your blind spot and alerts you with an indicator light in the appropriate exterior mirror. 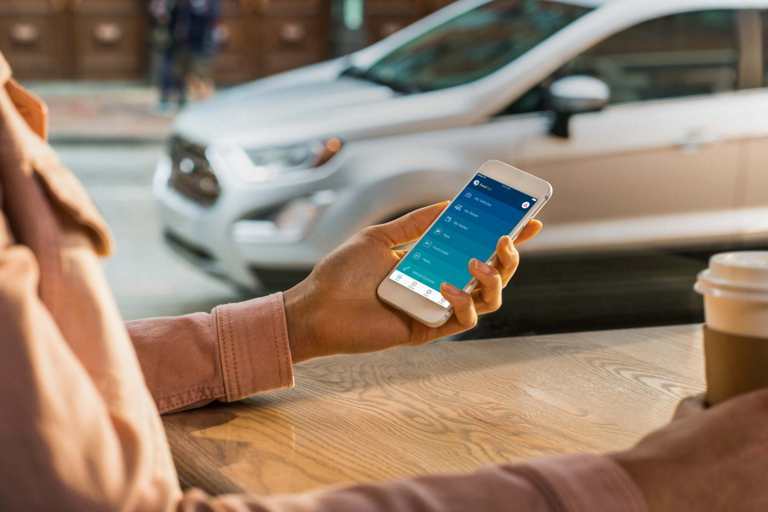 Cross-traffic alert also uses radar to watch for traffic behind your vehicle as you’re slowly backing out of a parking spot or driveway. 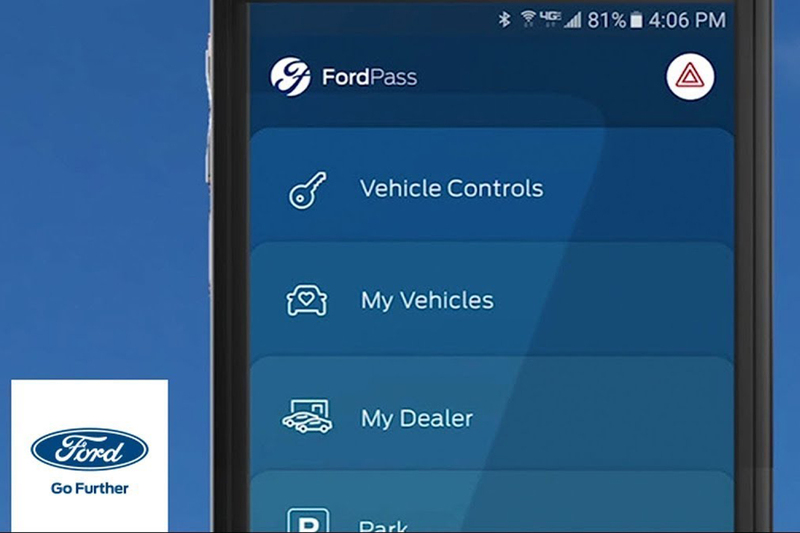 Ford MyKey technology helps parents encourage teenagers to drive more responsibly. 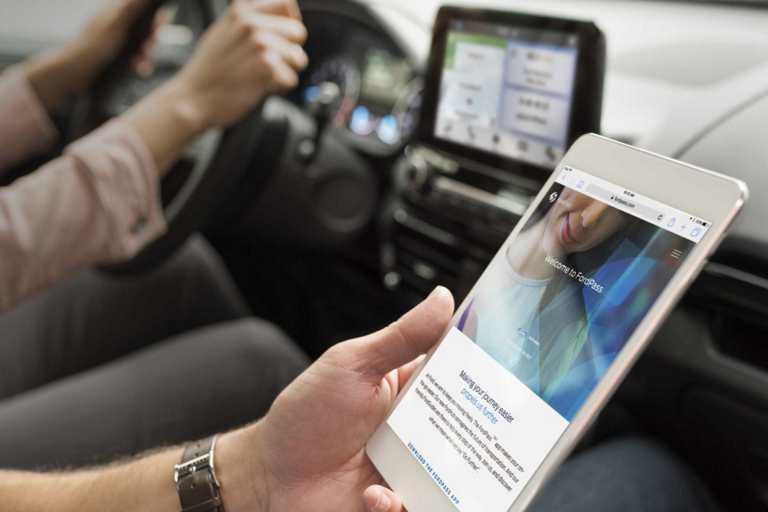 Program your key to a restricted driving mode setting that promotes good habits, such as increasing safety belt use, limiting top speeds and decreasing audio volume. 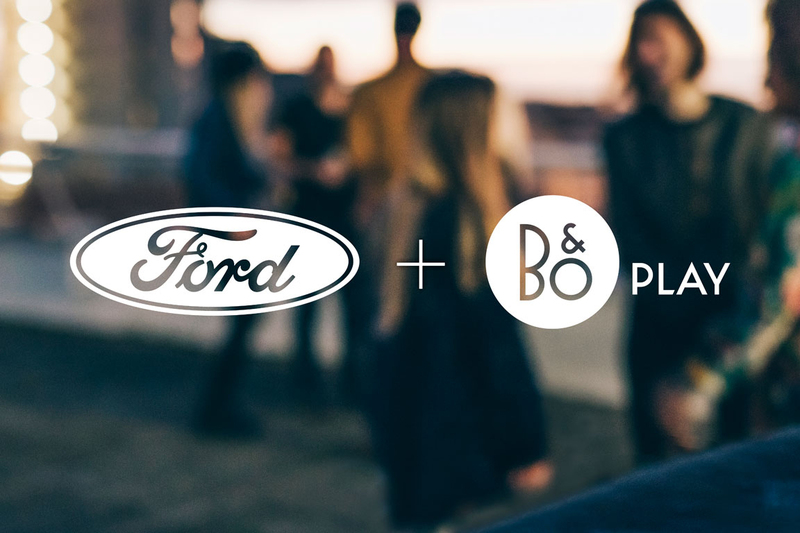 Available Bang & Olufsen play premium audio by Harman reimagines more than 90 years of audio heritage, with natural materials, distinctive design and high-quality audio seamlessly integrated experiences. 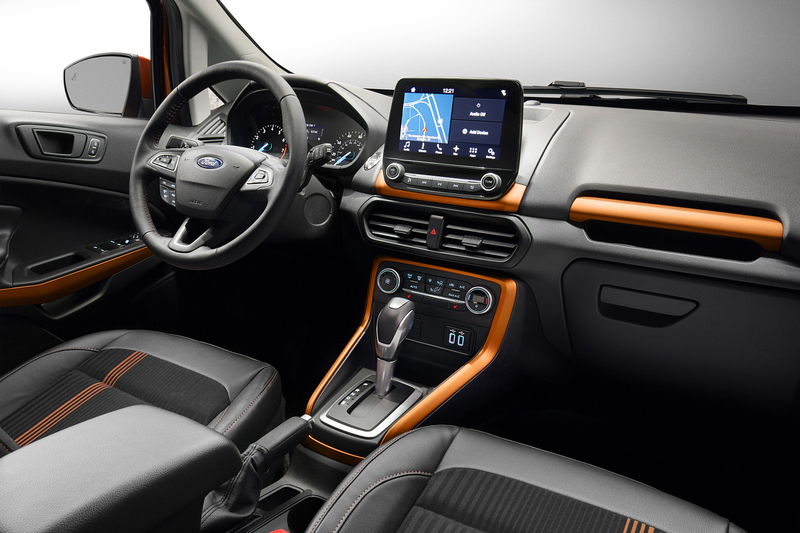 In fact, the nine-speaker system was specifically designed for the EcoSport. 7. Coming in hot-Wi-Fi hot. Make no mistake about it, this vehicle is all SUV. It’s at home just about anywhere. You’re at a red light. On a hill. Rest easy. 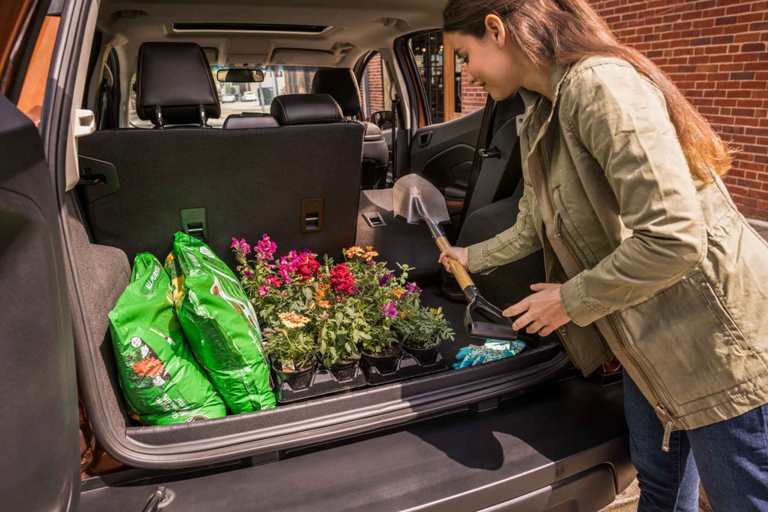 Available hill start assist can help you switch from brake to gas without rolling backward. 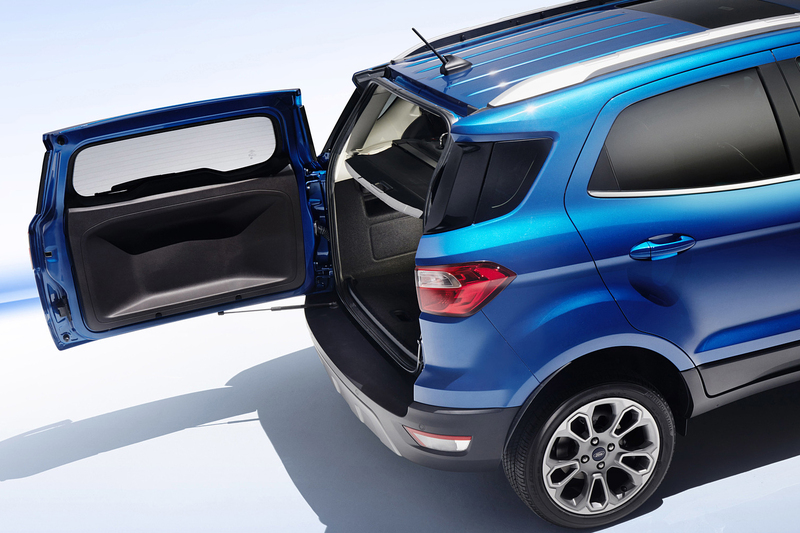 Our exclusive EcoBoost engines have proven their exhilarating performance. The standard 1.0L delivers more bang for the buck. You’ll smile every time you tap the accelerator. 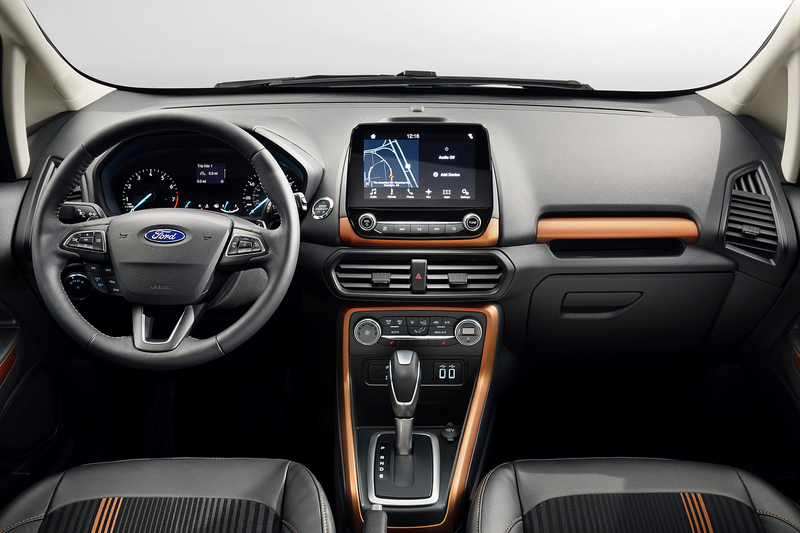 The 2.0L Ti-VCT (GDI) engine is paired with Intelligent 4WD, offering enhanced handling in any climate and on any road. 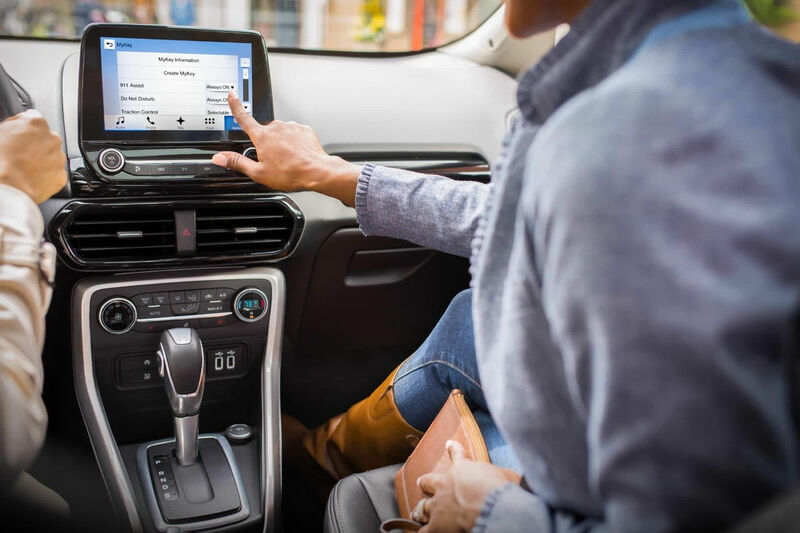 If desired, you can also turn off the Auto Start-Stop technology feature conveniently with the press of a button on the center console.